For such a long time, links have been a major factor of search engine optimization. The more links you have to your website, the better it will rank. In the beginning, the links need not even be from related pages to be valuable. Soon enough, search engines like Google evolved and started degrading all kinds of questionable link-building tactics. Now, SEO is synonymous with highly valuable content and natural links that come from relevant, trustworthy sources. What are the things you should take care of for your site’s link building and SEO next year and beyond? Find out in detail in this article. Google continues to improve its search algorithm with timely updates such as the recent Hummingbird. The search engine is far more capable today of spotting black hat SEO tactics. For a long time, the idea was to have as many links as possible, but now, you need to focus more on link quality rather than quantity. For quite some time this year, search engine optimizers were doubtful as to the effectiveness of link building. The real benefit of links has been going down. Many people resorted to other means of building traffic and it involved coming up with rich content that answers questions and provides value. Still, it goes without saying that the quality of links is still very important. Also important is the diversity of these links. One should not build links from within a network of websites, such as a blog network. This may get you into trouble eventually. An example of such a network was Suite101, which used to be a network of blogs that link to each other. 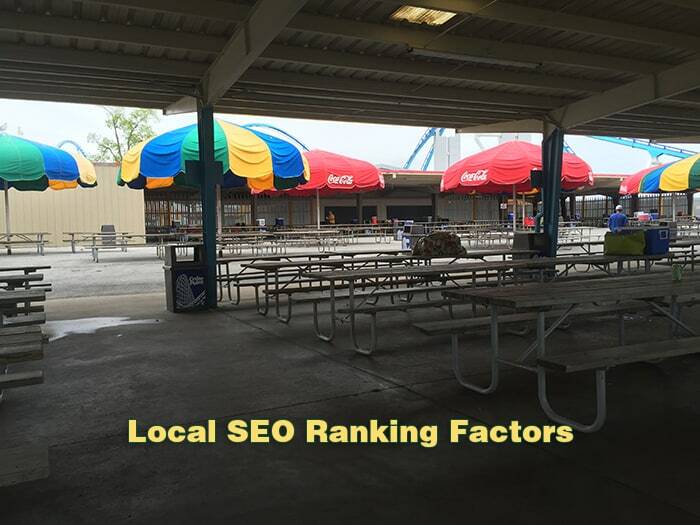 In order to identify the quality of your links, you can check a number of factors. Analyze the source of the link; if the source is part of a link farm or bad neighborhood, you should use Google Webmaster Tools to disavow those links. Make sure the source is relevant to your site as well. For instance, if you have built a microsite about your travel to Spain and got fifty percent of your links from some technology forums, those links will not help you much. The number of links is also important for SEO. Although quality is a more important factor, make sure that your site is getting as many links as possible. This makes sure that your site stays in competition for keywords you target. When it comes to rating the quality of the links you get to your site, consider a number of factors. The authority of the domain, trust, location, authorship (personalization), and social media are some of these factors. Domain Authority (DA) is a very useful measure of the trust of a domain. SEO research company Moz publishes the Domain Authority of all websites in its index. It is a continuously updated measure that ranks a site from 0 to 100. Moz utilizes over forty different factors to calculate the DA of a site. If you build links from relevant, high-DA sites, those links will be highly valuable to your website. There is also another measure known as Page Authority. While DA is for the entire domain, PA measures the value of a page within the domain. This way, you can track the statistics of all the articles you publish on the web despite the domain, and within Google index, your articles will appear with your photograph. When you get other people to write content on your site, you should make sure that the content is well shared through all social channels. For this, enable the Google Authorship program, and make sure that your authors share the content well through social media by liking the article on Facebook and Twitter. As I said, much of the authorship privileges have been done away with but it still makes sense to do. Social media has become big these days. Major, popular social networks are Facebook, Twitter, Google+, Pinterest, and LinkedIn. You cannot rank your site high without a presence in all these social media sites. Also, the quality of the content you publish determines how many social media shares you are likely to get. The more the shares and likes you get, the higher your ranking will be. Social media today can be either broad or topic-specific. For instance, if you are an artist, you should have a profile in an art social network such as deviantART. Software developers flock sites like Stack Overflow and GitHub. You should identify specific social media sites for your cause, based on the topic of your website. After Hummingbird, the on-page SEO factors have become far more important than the off-page ones. Hummingbird searches the web and finds pages based on their content. For instance, if you answer several questions through your articles, you provide value to the readers, and your articles are likely to come up in search results. The architecture of your website need not change in the future. Google recommends that you create your site with a clear hierarchy: Pages should be reachable from static text links. Submit a sitemap to Google Webmaster Tools. Use text, rather than Flash or such other technology, for any important information, such as names, addresses, keywords, etc. SEO is both a science and an art. It continues to evolve based on new developments in the web. Google continues to update its algorithm to fight web spam and bring good websites to the top of search results. You can contribute to these efforts by creating good, information-rich sites that provide value to the visitors.